The stripling soldiers had to do something hard, but they were not afraid. They knew God would help them. 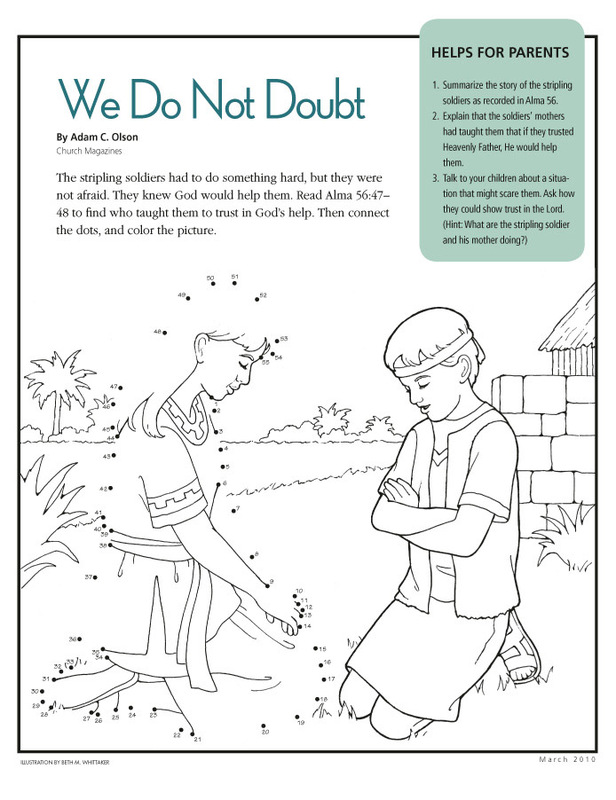 Read Alma 56:47–48 to find who taught them to trust in God’s help. Then connect the dots, and color the picture. Summarize the story of the stripling soldiers as recorded in Alma 56. Explain that the soldiers’ mothers had taught them that if they trusted Heavenly Father, He would help them.